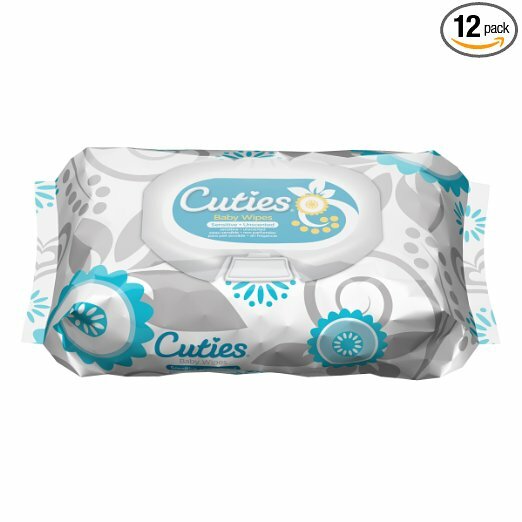 Savvy Spending: Amazon: 12 pack of Cuties Wipes for just $11.09 (92 cents each)! Amazon: 12 pack of Cuties Wipes for just $11.09 (92 cents each)! Need to stock up on wipes? Amazon has a great deal on a 12 pack of Cuties wipes when you clip the $6 coupon and choose Subscribe & Save! Final cost: Just $11.09 shipped, or just 92¢ each! Remember, after you receive a Subscribe & Save item, you can cancel easily by logging into your account, clicking on "my subscriptions" and cancel with one click! You're under no obligation to continue receiving shipments!